Home Tag "end of the world"
VIDEO: CQ BIBLE 101 – What’s Going to Happen at the End of the World? There is much confusion about what "the end of the world" actually means. Will the earth burn up? What happens and why? We look at many Scriptures that give us these answers. Will God’s Vengeance Squash Us Like Bugs? Vengeance, indignation, burning anger and jealousy. These are some of the words the Bible uses to describe God’s reactions to this present evil world. To put it mildly, God is not happy. Can you blame Him? Look at us – look at what this world does, what it stands for and how we treat one another! God will not allow such sin and corruption to continue. He will act and when He does, there will be no mistaking His response. 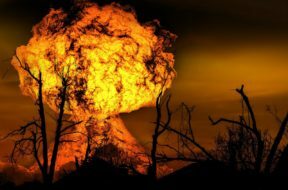 The Bible emphatically describes what look like world ending events – these events are called “The Day of Vengeance,” “Armageddon,” “The Time of Trouble,” “The Day of Wrath”… So wait! We are always talking about God being a God of love – how could this vengeance of God possibly be interpreted as an act of love? Is God so vengeful and angry that He is going to squash us like bugs or is there another way to understand what His vengeance is, how it works and what it accomplishes? So, When Does the Rapture Happen? 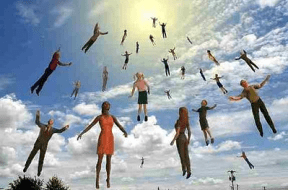 The Rapture is one of those Bible teachings promoted by some that draws all kinds of attention. It is dramatic - millions of people all just vanishing at the same moment! 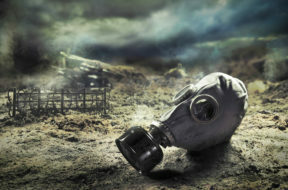 It is sobering – what is left behind is a world that rapidly sinks into chaos and destruction! It is scary – God’s judgment pronounced in an instant and you are either in or you are out! But the question is – is it true? Is this a real and legitimate teaching of Scripture we should truly heed or is it a fabrication of the minds of men based on a misrepresentation of Scripture? Let’s find out! Does God Really Love This World? We as Christians cling to the truth that God is Love. We cling to its stability, its longevity and its unchangeableness. God is Love. So, what does that mean and how far does that extend? Does God love all things? Does God love this world and all in it – the evil included? Does God hate and if He does, wouldn’t He be hating that which He created? What about the earth? Does God love this earth, I mean, is God “green?” If He does love the earth then will He destroy it? Stay with us as we look into the book that reveals the mind of God on such matters! Will Israel and Iran Go to War? Iranian President Mahmoud Ahmadinejad's anti-Semitic and anti-Israel views surely position him and the country of Iran among the foremost threats to the state of Israel. With war drums beating in the Middle East, thoughtful students of Bible prophecy wonder how the Bible's predictions of end-time events will play out. Scripture does indeed speak loudly and in detail about the near future for Israel, its neighbors, and the whole world as we approach the revelation of Christ and the inauguration of the kingdom of God on earth. Through the smoke of war and conflict of war on the horizon will come an era of peace and security for ALL mankind such as the world has never known. How will the current enemies of Israel be converted into friends? We will explore this today! Is it THE END? Were the Mayans Right? Ours is a time of technology and knowledge. With the breathtaking advances of our time also come breathtaking predictions of earth shattering events of epic proportions. Such is the case for this coming week, for it has been widely publicized that the ancient Mayan calendar ends on December 21st and therefore the world ends with it. Such an end, whether by coronal mass ejection, planets colliding or magnetic pole reversals of the earth, would be a horror as only seen in sci-fi movies. Some believe, some doubt, some fear and some laugh. Should we be taking this seriously? 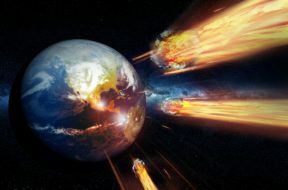 Doesn’t the Bible prophesy the end of the world? Were the Mayans right? Armageddon! The very word sends shivers down the spine of millions. Armageddon! Of all the Biblical prophecies, this one is probably more recognized than any other, even by those who are not believers in the Bible. Armageddon! It captures the imagination. It has been the framework for blockbuster movies and descriptions of war and destruction. So what is it? Where is it? When is it? And how does it really work? Is it really as dire as we think? Is it WORSE? Are We Now in the End Times of Prophecy? By the accounts of many, the day in which we live is different than any other time in the recorded history of the world. Never before has there been so much by way of knowledge, science and medicine that can heal and restore yet, never has there been so much by way of brilliantly formed destructive forces as well. We are blessed with technology and its work saving power yet we are cursed by its power to feed the basest of human desire. We are blessed with greater freedom for more of the masses than ever before, yet we are cursed with the abuses greed and inequity that such freedom unleashes. Are these the perilous times of the Bible? Stay with us as we look into Bible prophecy and current events to try and determine where we are on the timeline of God’s Plan. Does God’s Word Ever Fail? So yesterday, May 21st, was a much anticipated day for many, and I would guess a day of great disappointment and even bewilderment for those same people. What might they be thinking now? Did God not deliver what His word promised? What are the rest of us thinking? Were these people foolish in their commitment or were they misled by what appeared to them to be undeniable scriptural logic and harmony? Harold Camping’s prophecy failed utterly. Does this mean that God’s word failed along with it? Stay with us as we examine the short term aftermath of expectations gone bad in light of God’s plan. Was Chicken Little Right About the Sky Falling? On this program, we have often spoken about the ending of this present age being a necessary prerequisite for the coming kingdom of God. The big question this morning is, where are we in the progression from this age to the next? Is it all coming soon? How soon? Is it something to be afraid of? Should we “head for the hills?” Stay with us as we look into this fascinating prophetic subject and try to get a handle on coming events from a biblical perspective.